Erraid Lighthouse Shore Station is no longer in use by the Northern Lighthouse Board as it was abandoned in 1952. 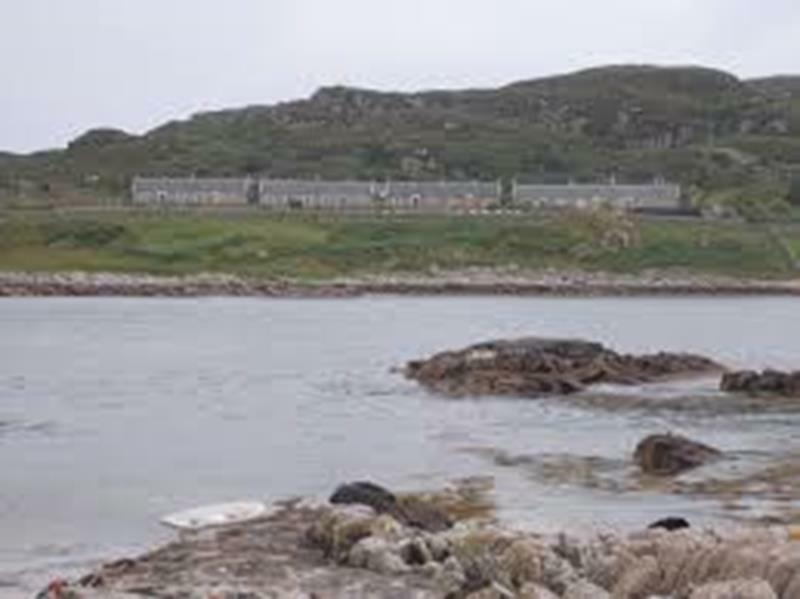 This small island off the Ross of Mull was first used by Thomas Stevenson in 1869 as the shore base for the building of Dubh Artach lighthouse. Dubh Artach bears 225 (T) 14 nautical miles and Skerryvore bears 252 (T) 26 nautical miles from the lookout point. 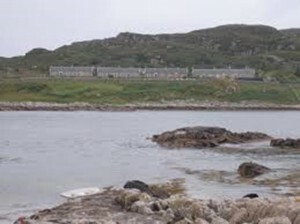 Skerryvore Lighthouse is on the Torran Rocks that lie about 26 nautical miles from Iona in a westerly direction. Alan Stevenson built the lighthouse in 1844 to protect shipping from a group of exceptionally dangerous rocks that imperilled all ships approaching the west-coast ports of Scotland. The lighthouse tower is Mull granite, which was quarried at Camas Tuath near Bunessan. Its base is 13 m (42 ft) in diameter with walls 3 m (9.5 ft) thick. 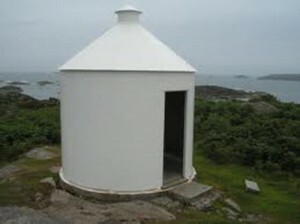 The original signal tower was at Hynish, Tiree, but moved to Erraid in 1892 when the Erraid Observatory was used. The lighthouse was badly damaged by fire on the night of 16 March, 1954; after a lengthy period of restoration it was returned to service in 1959. Character: Flashing White every 10 seconds. Focal Plane 46 metres. Range: 23 nautical miles. Position: 56 19.3 N 007 06.8 W.
Dubh Artach Lighthouse was built between 1869 and 1872 using stone quarried on Erraid and transported to the site, twenty tons at a time on a barge towed by a paddle tug. The lengthy time taken to erect the tower was mainly due to the site’s inaccessibility and poor weather conditions. The builders were accommodated in a temporary iron ‘barrack’ built on the rock near the lighthouse site, but, even though they were on site in all but the most fearsome weather, work was not always possible. The light was automated in 1971 and the keepers withdrawn from what was always an unpopular posting.